It is with great enthusiasm that we share the following funding opportunities and positions offered through Vermont EPSCoR in this Funding Updates issue of our e-newsletter. Please distribute broadly. 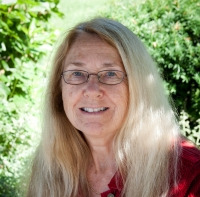 Vermont EPSCoR provides the opportunity  for Vermont small businesses to compete for grants to foster research and development projects which will lead to application to federal Small Business Innovation Research (SBIR) programs. The main goal of the Vermont ESPCoR Phase (0) solicitation is to identify proposals that show promise for success in federal SBIR competitions and that would benefit from financial support and reviewer comments. Vermont EPSCoR provides the opportunity for Vermont small businesses to compete for grants to use facilities at the University of Vermont (UVM) to collect the data necessary for the submission of Phase (I) and Phase (II) federal grants. There must be a federal SBIR program to which the work is eventually targeted. Vermont EPSCoR's intent is to identify those SBIR ideas that need additional data for applications at the Phase (I) and Phase (II) level. Vermont EPSCoR requests proposals for pilot projects that are aligned with the VT EPSCoR research on adaptation to climate change in the Lake Champlain Basin with insights through complex systems computation (RACC). We especially welcome proposals from faculty outside UVM. These awards are for innovation; and to move research forward. Are you interested in learning more about protecting our water resources, and getting good information to decision-makers? The North East Water Resources Network has opportunities for undergraduate students to carry out research for 10 weeks during the summer – in our Vermont, Rhode Island and Delaware research locations. The High School Program offers students and teachers the opportunity to participate in current research. Through involvement in the Research on Adaptation to Climate Change (RACC) research program, participants develop skills in scientific methods and Earth systems thinking and experience what it is like to be a scientist. The Department of Energy, Office of Basic Energy Sciences (BES), is seeking new and renewal applications for Energy Frontier Research Centers (EFRCs) to conduct fundamental research focused on one or more "grand challenges" and use-inspired "basic research needs" identified in major strategic planning efforts by BES and the scientific community. 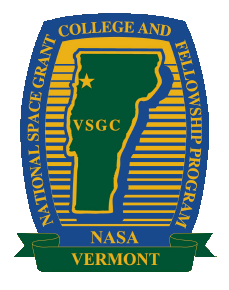 The Vermont Space Grant Consortium (VTSGC) is pleased to announce a competition for Graduate Research Assistantships for a twelve-month period consisting of the 2014-2015 Academic Year and the Summer of 2015. This competition is open to graduate students enrolled in M.S. and Ph.D. students in Science, Technology, Engineering, and Mathematics (STEM) disciplines. Are you interested in connecting with a new transdisciplinary research program? A team of researchers statewide is investigating adaptation to climate change in the Lake Champlain Basin and integrating the interactions of climate, environment, and society.